KL’s fine dining scene is often reserved for the more exotic cuisines, but Bijan is living proof that Malaysia’s food culture has earned its spot in sophisticated dining venues. This award-winning restaurant located on Jalan Ceylon effortlessly arranges the punchiness of traditional Malay flavors in the most sophisticated dishes, blending the old with the modern in a delicious way. Make sure to try some of the traditional Malay favorites such as ayam percik (BBQ chicken) or the sumptuous opor rusuk (slow cooked beef ribs). Open daily between 4:30pm and 11pm. 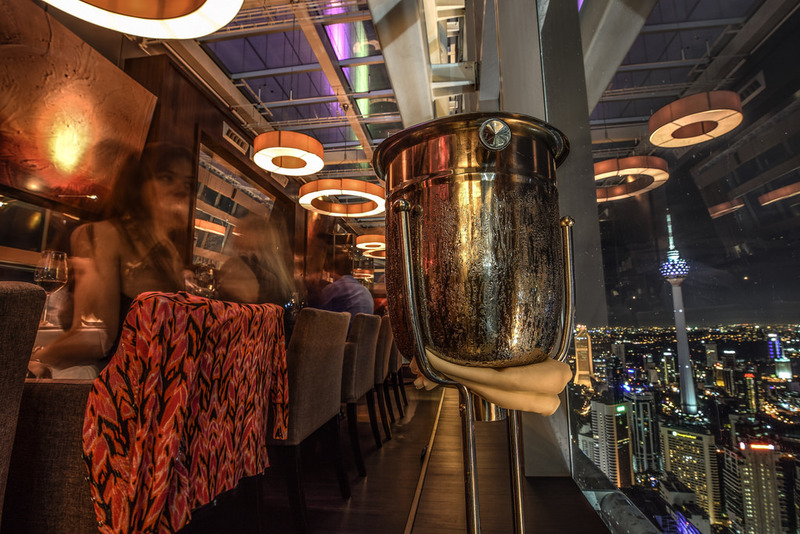 Perched on the 57th floor of Petronas Tower 3, Marini’s on 57 easily offers up one of the best views in KL. Set in the heart of the city, this exclusive Italian restaurant also features a lounge and a bar with an extensive wine list, special-edition scotches from big distilleries and single cask whiskies from independent bottlers. 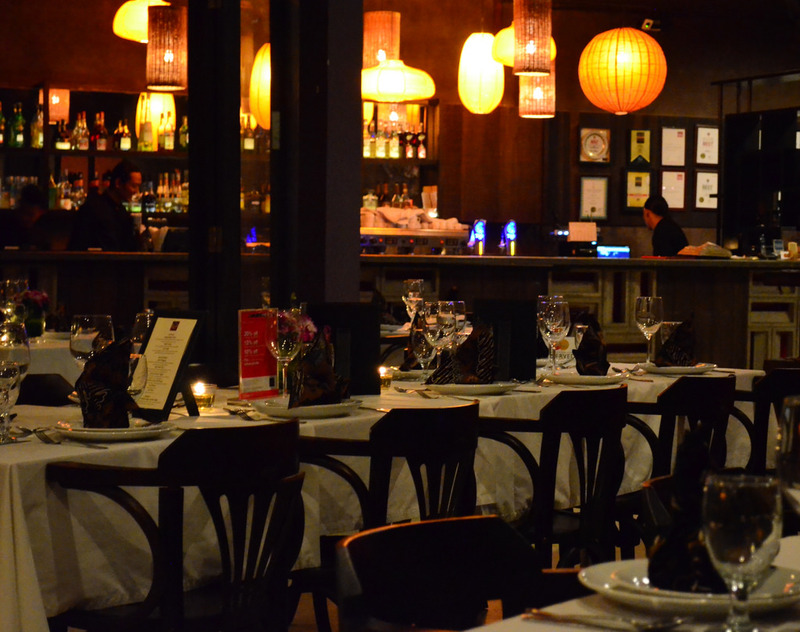 The restaurant is open Mon-Thu between 7pm and 11pm, Fri-Sun between 6:30pm and midnight. The bar is open daily from 5pm till late. The lounge is open Mon-Sat from 3pm till late. Winner of TripAdvisor’s Traveler’s Choice Awards in 2015, Dining in the Dark KL is truly a one-of-a-kind experience right in the heart of Malaysia’s cosmopolitan hub. With an expertly crafted menu (that remains a surprise until it arrives at your table), this fine dining venue serves a variety of flavors to its clients – in the dark. Open daily between 6pm and 9:30pm. Probably Kuala Lumpur’s top fine dining restaurant, this award-winning restaurant and wine bar is renowned for its exquisite blend of French and Japanese cuisine. Purely French staples are also featured on the refined menu but with a contemporary twist that is sure to delight your taste buds. Providing an intimate atmosphere with a perfect touch of sophistication, Cilantro remains a favorite among KL’s elite and its clientele has included royalty and a number of celebrities. Open Mon-Sat between 6pm and 10:30pm and Fri also between noon and 2pm. 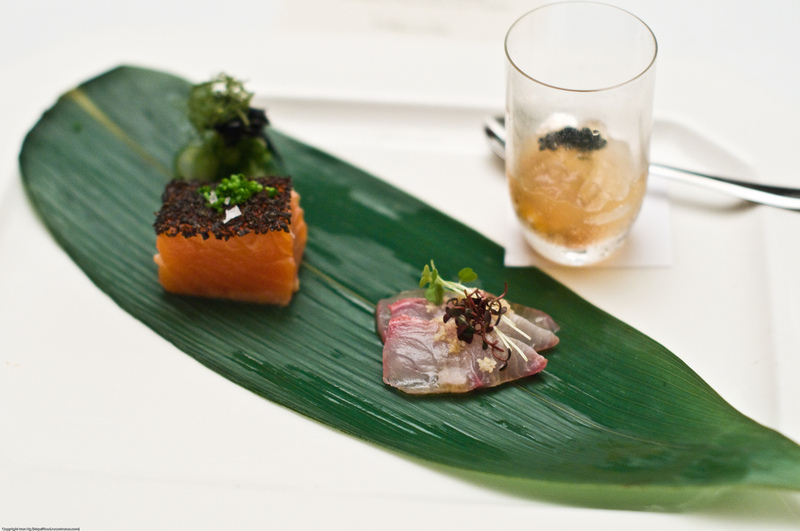 A world-renowned restaurant, Nobu KL is the first of the franchise to hit Southeast Asia – and it has come with a few surprises. Located just below Marini’s on 57, on the 56th floor of Petronas Towers 3, the floor-to-ceiling windows that offer a 360º view of Kuala Lumpur definitely steal the show. But the tasty food doesn’t fall far behind: Nobu KL maintains the excellent quality and unique blend of Japanese haute cuisine with intriguing Peruvian flavors. Nobu purists will find all their favorites here, and the more adventurous types can discover some of chef Philip Leong’s signature dishes such as the Ice Kacang Nobu Style. The restaurant is open Mon-Sat between 6pm and 10:30pm. The lounge is open Fri-Sat between 6pm and midnight.